Jaguar is working at top speed on an all-new £80,000-plus J-Pace SUV for 2021, designed to beat the Porsche Cayenne at its own game. A global trademark filing for the J-Pace moniker suggests that the model is edging closer to production, having been scooped by Autocar last year. The Range Rover-rivalling SUV will have a brand-new shape inspired by Jaguar design director Ian Callum and an obvious on-road bias, but it will draw on the Range Rover for much of its running gear. It will be the brand’s fourth eye-grabbing entry into the gigantic global SUV market in just five years. Jaguar stands on the edge of a highly profitable, much higher-volume future, based on rapidly rising sales of an SUV family that started with the F-Pace just two years ago and will probably account for two-thirds of its total sales in the early 2020s. Also prominent in this progress will be a quick increase in the number of electrified Jaguars – both hybrids and full EVs – some of which will draw on the hardware, software and design influences of the revolutionary I-Pace, just launched. The company, which promises at least one electrified version of every model by 2020, will keep its mix of performance-oriented saloons, SUVs and sports cars while accepting that burgeoning world demandfor soft-roaders is its real passport to higher sales and big profits. The success of the 2016 F-Pace and the embryo success of the smaller, more affordable E-Pace are the main reasons for current improvements. However, company bosses are well aware that they need to continue producing upper- end models like the J-Pace to reinforce Jaguar’s image as the home of substantial, luxurious performance cars. Key models of the near to medium future are next year’s all-electric XJ limousine – which is being launched at that time to mark the 50th anniversary of Sir William Lyons’ seminal XJ original – and the bigger, super-luxury J-Pace. Jaguar’s volumes, decimated in the financial crash of 2008-2009, have been rebuilt rather laboriously to around 150,000-160,000 cars a year, while bullish Land Rover and Range Rover sales have lifted total Jaguar Land Rover (JLR) volume beyond 600,000. Although that total is impressive in some ways, Tata-JLR bosses at one time planned to reach 800,000 sales by now and still have their eyes on an annual group total exceeding one million. In a sense, the F-Pace of 2016 was the beginning of the rest of Jaguar’s life. It has become the marque’s most successful model for decades, selling more than 70,000 copies last year, after a similar performance the previous year. There are strong indications that we’ll see a plug-in hybrid concept this year, drawing on know-how from the recent Range Rover and Range Rover Sport hybrids. A mid-life refresh is due next year, too, (perhaps the two will coincide) and a full replacement is already timed for late 2022, because this is one model Jaguar wouldn’t want to get wrong. Hopes are even higher for the recently launched, smaller E-Pace, whose BMW rival, the X1, posted sales of around 120,000 last year. In the UK alone, sales of all compact SUVs exceeded 170,000 last year, more than doubling in three years. Jaguar is rightly bullish about further expansion of the class. The one awkward point is that a generous slice of this volume was earned by the Range Rover Evoque, now six years old and still a major force in the market. The E-Pace’s success is certain to cause some sales cannibalisation. 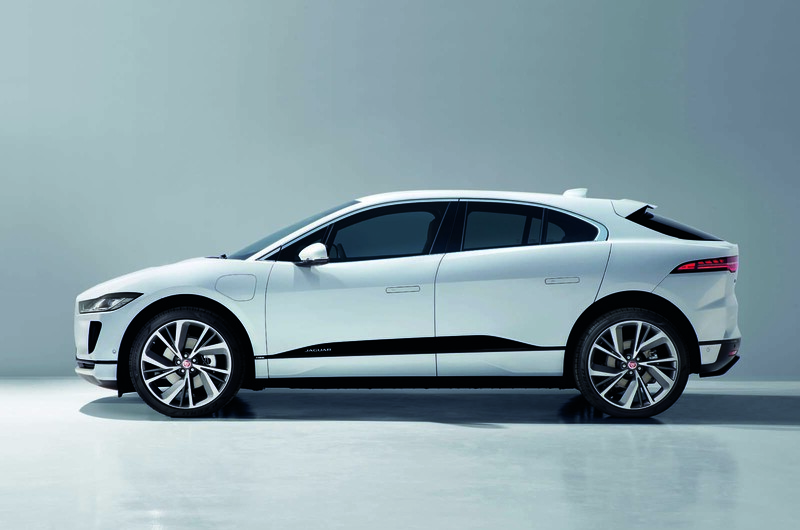 The I-Pace – Jaguar’s first electric car and launched at the Geneva motor show last week – has already won big plaudits for looks, proportions and the boldness of its concept. It is being made in Graz, Austria,by Magna Steyr at greater cost than in one of Jaguar’s own plants, but the company regards it as proof of its credentials as a leading user of new technology and is happy to invest. The best guidance on I-Pace volumes is that it will be “somewhere either side of F-Type”, which sounds like 10,000-15,000 cars a year, although company insiders are honestly unsure how it will go. Given the combined expense of the model’s new, stand-alone electric architecture and Magna’s manufacturing, this looks like being Jaguar’s least profitable model, although JLR CEO Ralf Speth insists it’ll be a money-maker “at the anticipated volumes”. Some say it could eventually be made in China, where manufacturing electric cars has recently become easier. The fourth SUV in Jaguar’s frame, the J-Pace, will be a sleek and luxurious all- aluminium model for the early 2020s. It’s likely to use a developed version of the Range Rover aluminium architecture, although it will be longer, lower, probably more spacious in the rear and much more on-road biased. It will employ Range Rover running gear and powertrains, and plug into a rising demand for super-luxury SUVs. Jaguar bosses will expect it to sell especially well in China, where well-heeled owners are chauffeur-driven. Jaguar needs saloons. They’ve been a backbone since the heyday of company founder Lyons but not enough people are buying them now. Last year, the compact XE, launched in 2015 to fight the BMW 3 Series and Audi A4, made barely 19,000 sales in Europe (around 25,000 in the previous year) against 170,000 for the leading Mercedes C-Class. The mid-sized XF, recently refreshed and with the Sportbrake (estate) to help, does little better. 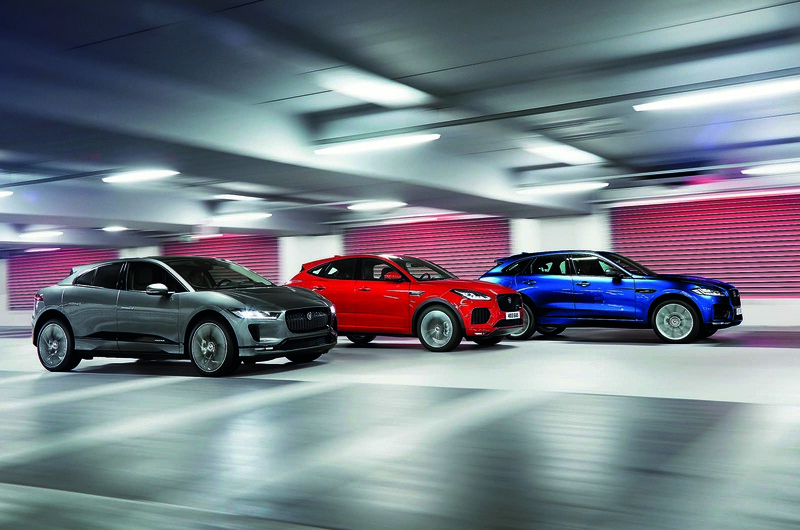 Replacements are nonetheless planned for both cars in the early 2020s, mostly because special long-wheelbase versions of both have recently gone on sale in China and Jaguar is prepared to bet the resultant volume will make them viable. Big Jaguar saloon news is an electric XJ (as scooped by Autocar earlier this year), due to be shown this year and on sale in 2019. The car is believed to be a second application for the twin-electric-motor architecture introduced with the I-Pace, with all the benefits in smoothness and cabin space we’ve already seen. Jaguar wants the new XJ to be seen as revolutionary – as several of its predecessors were in their time – in a category diminished by the rising success of luxurious SUVs. Jaguar faces potentially agonising decisions over sports cars. Should it drop them or give them more prominence? There are strong arguments for both courses, and Jaguar bosses are trying to decide the correct direction. Even before Tata bought JLR in 2008, it was clear there was going to be a brand-new Jaguar sports car. Ratan Tata, with fond memories of XK120s, was in favour from the beginning. The result was the 2013 F-Type convertible, which looked terrific although industry pundits have since criticised its price structure, the time it took JLR to add coupé (2014) and the lack of a small-engined version until 2017. Sales run at currently about 10,000 a year. The argument in favour of sports cars goes thus: Jaguar needs its image builder, just as Porsche (which still calls itself a sports car company) uses its minority 911 and 718 models to create an image for its SUVs and saloons. 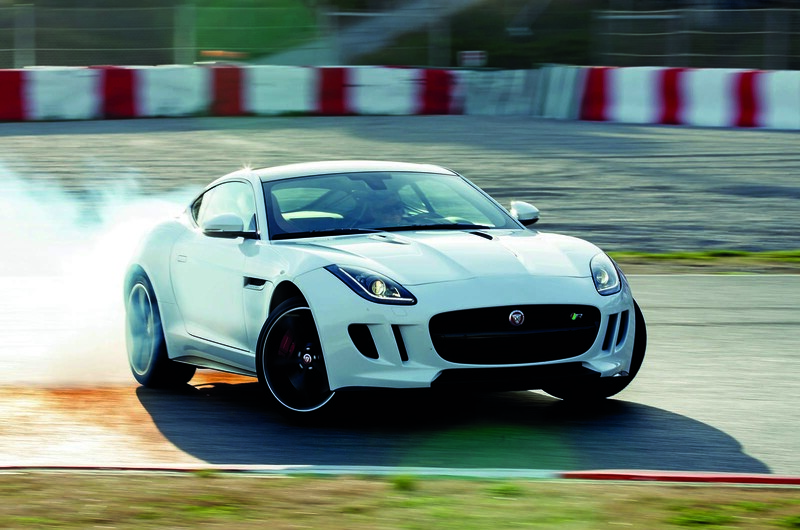 The F-Type should be raced, replaced and enhanced to add lustre to the brand. These arguments work in favour of a Jaguar XK coupé, another candidate for electric I-Pace and XJ architecture that could be priced just under the Bentley Continental GT. The anti-sports-car argument is that the F-Type is a modest earner, as all sporty cars now are. Its structure is expensive because it shares little with other production models. It doesn’t sell well in China, and even US sales run at about only 4000 units a year. The good news is that Jaguar now seems to have its model building blocks in place for the next few years, and they are starting to be effective. Since the F-Pace, Jaguar has started earning solid profits, with more and better in prospect from the E-Pace. The company’s managers can now give more concentration to image enhancers (like the I-Pace, XJ, J-Pace and possibly XK) it has always needed to maintain a special place in the world. But this article is supposed to be about an upcoming J-Pace, not a resumee on the whole bleedin' range. It is the job of the British motoring press to discuss and promote British brands, more so when virtually all of the cars from British brands are world class and top their respective classes. Long may Autocar continue to cover such excellence while it's going to be a given than the J-Pace will be up there with the Range Rover Sport in dominating this particular SUV class. I can still remember the times when it was the press' job to INFORM not to PROMOTE. I'm getting older. My generation used to care most about correct information, these days it's all about hearing what you want to hear. Anyhow, please note that JLR is a 100% Indian company which happens to assemble its cars in Britain. Much like Opel Astra is assembled in the UK. Oh, sorry, Vauxhall Astra. Blind nationalism surfaces when a nation loses its real values and starts venerating icons. Just like religious fanatism. Unexamined loyalty to nation, brands etc. means nothing. What's more, people often misunderstand the function of criticism. To criticise something already contains within itself the possibility of an improved solution. Going by your logic, Daimler (Mercedes) is now chinese Arabian as it majority shareholders are geely and middle eastern countries. As for JLR, they are based in the UK, they design their cars here with British people, they are developed by British people and they are made by British people. Seems British enough to me. Yes you can argue that they are owned by Indians, however when Tata decides to float the company on the market and get a return on their investment, who will it will be owned by then? Either way the one thing that won’t change is where the company is based and who is designing developing the cars. There is no argument. It is owned by an Indian company. Being Indian owned doesn’t make it a Indian company, Just makes it indian OWNED. Just like Mercedes is german even though it’s owned by the Chinese/Arabs.